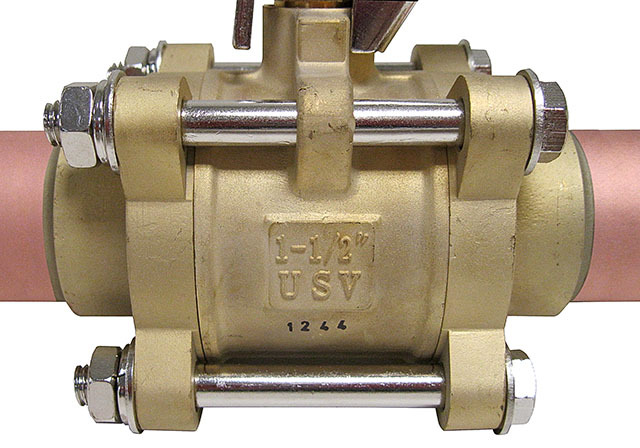 Our Medical Gas Ball Valves conform to NFPA 99–2012, section 5.1.4.3. 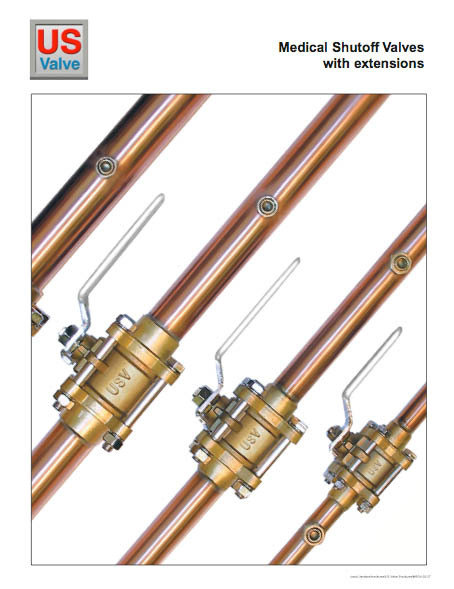 Valves are full port, 1/4 turn, double seal, ball-type, three piece design with forged brass body and chrome-plated brass ball. They are designed for working pressures up to 600 psig and the body has Teflon® material ball seats and Teflon® material stem seals. Seats, seals, lubricants and valve materials are compatible with USP oxygen, nitrous oxide, medical air, carbon dioxide, helium, nitrogen and mixtures thereof at continuous pressure of up to 600 psig and vacuum service to 29" Hg. 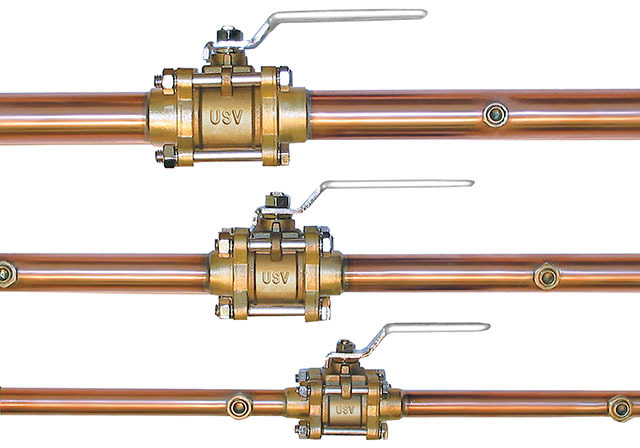 Medical gas ball valves are provided with type-K copper tube extensions for connections on the pipeline. They are serviceable in the line and supplied clean and prepared for oxygen service per CGA G-4.1. Valves are capped and packaged in a polyethylene bag to keep them clean. We maintain an extensive inventory of valves, parts and components in a wide variety of materials so we can respond to your needs quickly. Our medical gas ball valves are shipped from stock.